This cake was light! And a good one for valentines day. 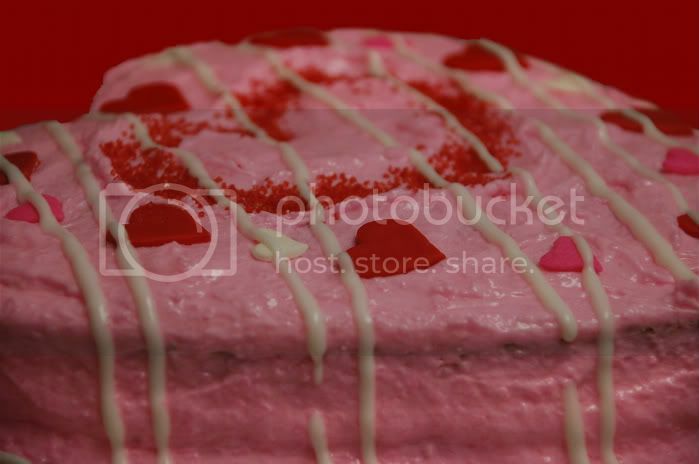 I really like tthe heart shape with pink frosting!